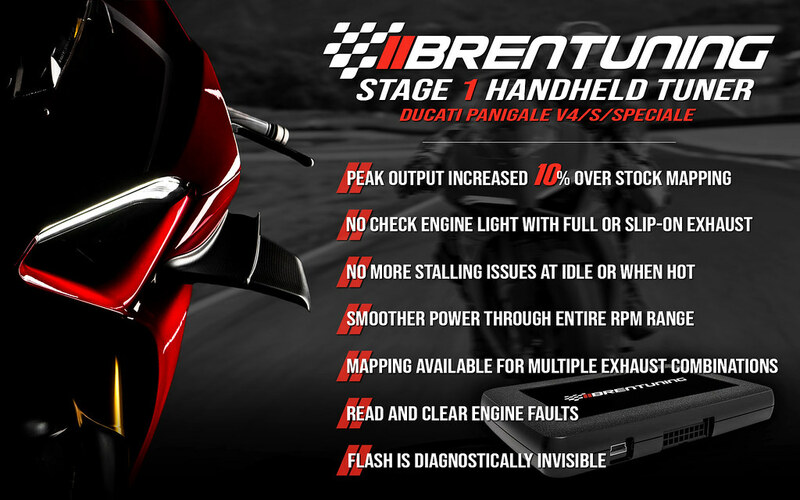 Ducati V4 Tuning is live! Get yours today! After over a year of working on this product, finally we are ready to officially release our V4 handheld tuner. This covers the V4/V4S at this point with V4R Development in the works actively. Available now, this is a true at home solution which allows you to add your exhaust, improve ridability and of course add more power! Any adjustments available for the quickshifter? Yes bike shifts way better with this mapping! Copyright © 2011-2018 Ducati Forum. All rights reserved.